A definition of grafting: A plant shoot or bud (scion) inserted into the stem or trunk of another where it it grows permanently. 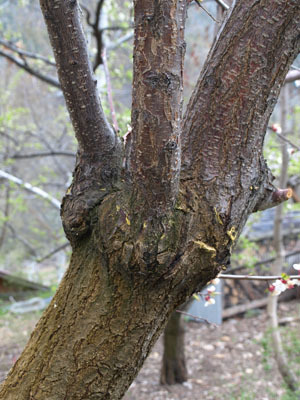 Most all fruit trees ( and many ornamentals) have been grafted or budded (budding is a form of grafting using only one bud as opposed to grafting which a stick or scion is used which has a few buds on it). Without grafting the variability is too great from a seed . 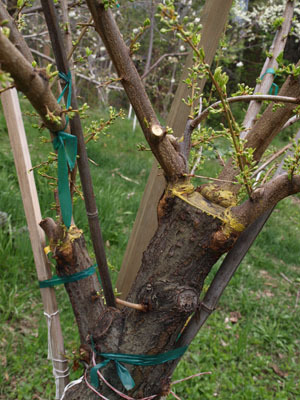 So if you want a specific variety, say Spitzenburg apple, grafting is the most efficient way of propagating it. If you planted a seed from a Spitzenburg you wouldn’t get that variety, there is so much genetic variability in those seeds there’s no telling what you might end up with, but not a Spitzenburg . 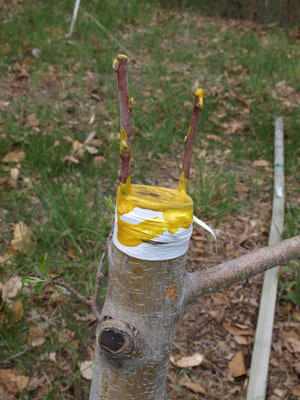 Grafting as a way of variety cloning. 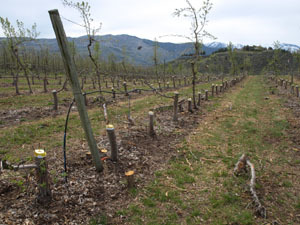 April is time of year to graft here in north central Washington, and elsewhere in the northern hemisphere. We almost always have some to do here; changing a variety or to graft a young tree to a variety we want but can’t find from a nursery. We’ve been grafting professionally for over twenty years, which means that we hire ourselves out to orchards who want to change a variety. 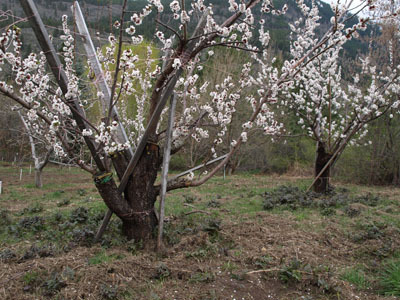 Its much more economical to graft an orchard over then to pull out the trees, buy and plant new trees and install a new irrigation system. We’re not doing as much contract grafting as we did even a few years ago, aside from the work being hard on our ever-aging bodies it takes us away from our farm during a critical and busy time, but it is one of the ways that we make our living off farm.